Take the next step in comfort with Walk Easy™. This innovative, stylish shoe feels even better than it looks. 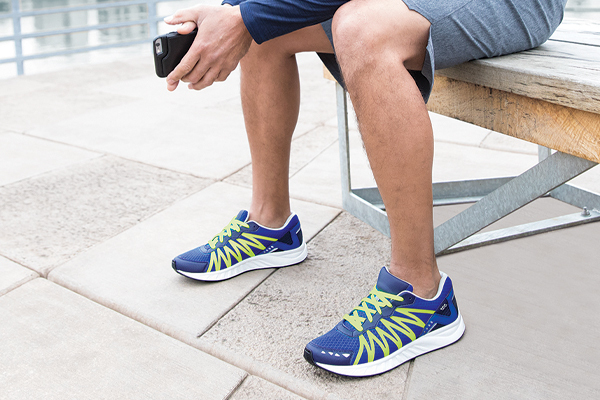 S-Motion Technology® provides the support you need to keep moving, while our TRIPAD® Technology and a soft, lightweight sole relieve pressure on your feet. The laces slide easily, providing even tension across the instep. Move freely and rest easy in this cute, comfortable design. Designed on a special Foot-Shape® last to fit and follow the shape of your foot. Walk Easy has a removable SAS contoured Everbounce™ foot bed, Tripad® Technology and SAS Supersoft® lightweight sole to give you a new, all-day comfort walking experience. Initial fit should be wide enough to stay comfortable across the ball of the foot and roomy enough in the front so the toes are not cramped.